Hogwarts In The Snow is returning to Warner Bros. Studio Tour London – The Making of Harry Potter this year! It will run from Saturday November 17th until Sunday January 27th. 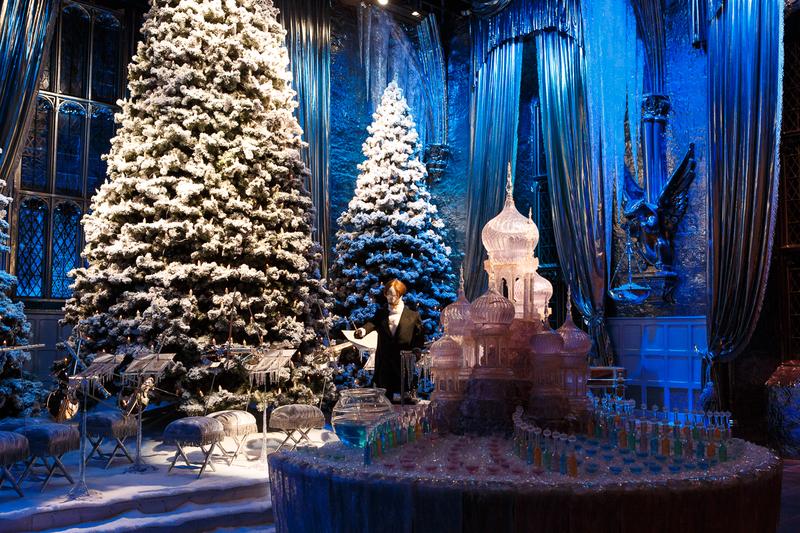 Visitors will see sets from the Harry Potter series transformed for festive season, including the Great Hall which will be dressed as it was for the Yule Ball, the Gryffindor common room, the Weasley burrow and the Hogwarts castle model covered in snow. Also back by popular demand, Dinner in the Great Hall events will be held from 10th-12th December, with the opportunity to enjoy drinks and canapes before sitting down to a two-course Christmas feast on the festively-decorated Great Hall set. Dessert will be served on Platform 9 ¾, before guests are able to explore the Studio Tour exclusively after hours. Tickets are £240 and will go on sale at 10am on September 25th at wbstudiotour.co.uk/dinner. Photos from last year’s Hogwarts in the Snow and Dinner in the Great Hall events may be seen in our gallery! Returning to Warner Bros. 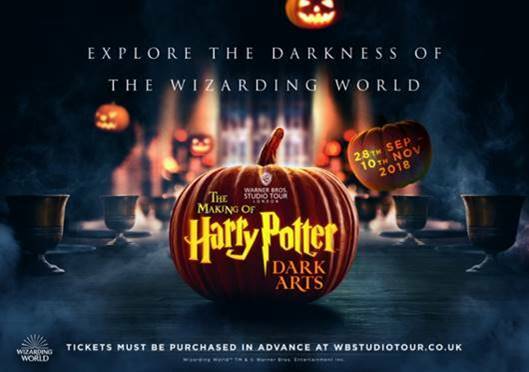 Studio Tour London – The Making of Harry Potter from Friday 28th September – Saturday 10th November is Dark Arts – an event allowing fans of Death Eaters, daring duels and Hallowe’en feasts to explore the darkness of the Wizarding World. In addition, Warner Bros. Studio Tour London invites fans to celebrate their favourite costumes of the Wizarding World and book for one of two exclusive costume evenings from 6:45pm on 6th and 7th October. Fans can come dressed as their favourite Harry Potter witch, wizard, Muggle or even creature and enjoy unique photo opportunities and giveaways laid on specially to celebrate the costumes of the Dark Arts. New for 2018, Warner Bros. Studio Tour London invites fans to celebrate their favourite costumes of the Wizarding World and book for one of two exclusive costume evenings from 6:45pm on 6th and 7thOctober. Fans can come dressed as their favourite Harry Potter witch, wizard, Muggle or even creature and enjoy unique photo opportunities and giveaways laid on specially to celebrate the costumes of the Dark Arts. Tickets go on sale at 10am on 14th August and are available from wbstudiotour.co.uk/celebration-of-costume. 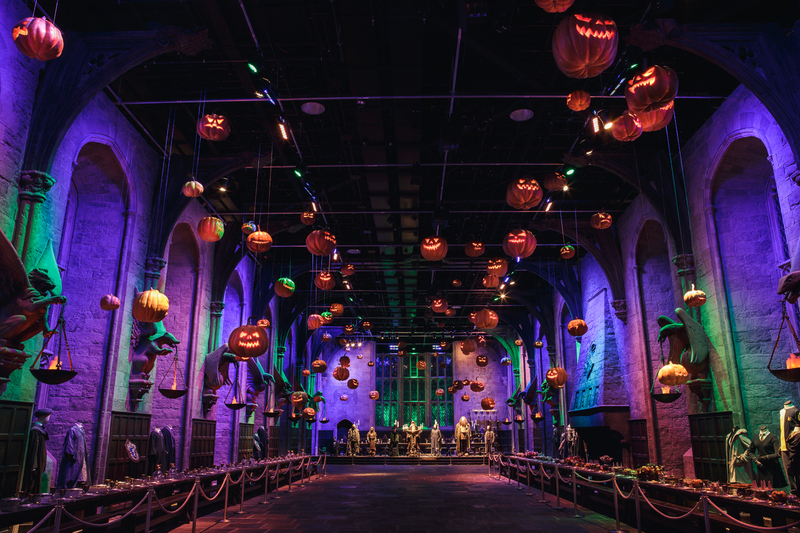 Returning this year, the iconic Great Hall set will be decorated with over 100 floating pumpkins, as seen on screen in Harry Potter and the Philosopher’s Stone. Created by Head Propmaker on all the Harry Potter films, Pierre Bohanna, the pumpkins are modelled on those found in Hagrid’s pumpkin patch inHarry Potter and the Prisoner of Azkaban and are hand-carved by the Prop Making Department so no two are alike. The Great Hall tables will also be laden with a Hallowe’en feast of red apples, pumpkins and cauldrons of lollipops. Warner Bros. 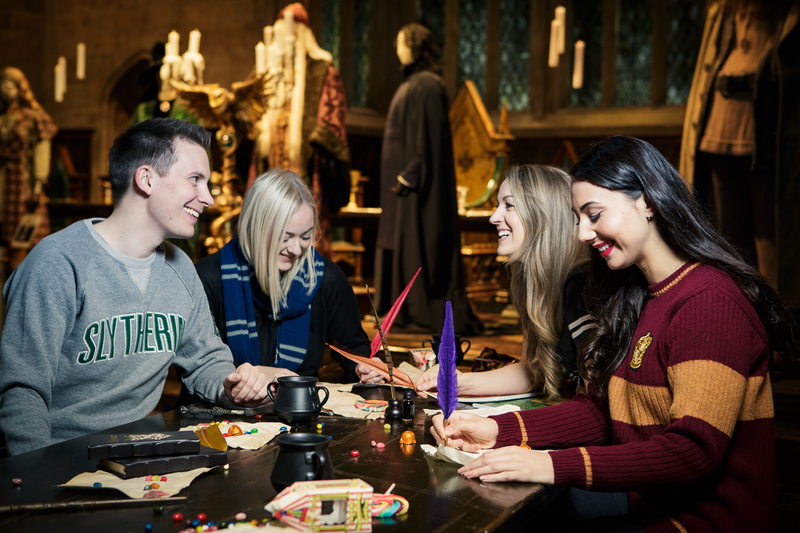 Studio Tour London – The Making of Harry Potter will be hosting a series of exclusive Harry Potter Quiz Nights in the Great Hall on 5th, 12th and 19th July, where fans will be able to put their knowledge of the Wizarding World to the test. Guests will begin by exploring the Studio Tour before enjoying a hot meal (Butterbeer included!) in the Backlot Café, before taking their seats for the quiz. Winners will then receive a collection of exclusive Warner Bros. Studio Tour London goodies. Tickets are priced at £65 per person and will be available to purchase from 10am on 5th June, and must be pre-booked at www.wbstudiotour.co.uk/quiz-night. Tickets will be available to purchase from 10am on 5th June and must be pre-booked at www.wbstudiotour.co.uk/quiz–night. Tickets are priced at £65 per person. 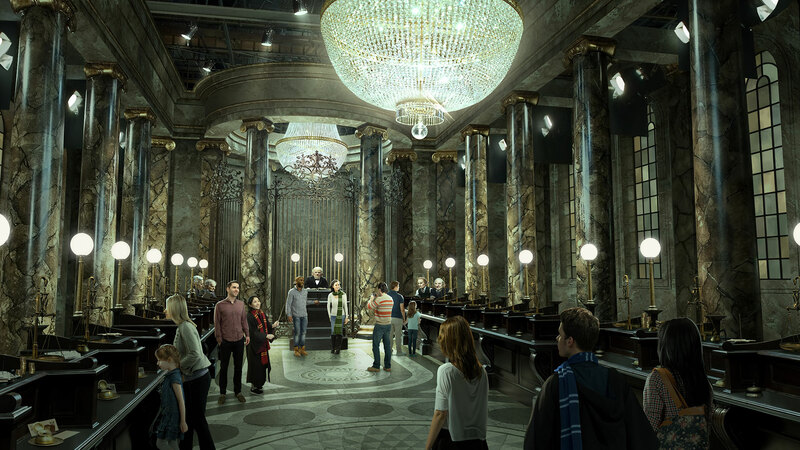 The package includes entrance to the Studio Tour, a hot meal, drink and Butterbeer in the Backlot Café and access to the Harry Potter quiz in the Great Hall. Teams should be a minimum of 6 people and a maximum of 12.